Calendula officinalis (pot marigold) is a plant in the genus Calendula (pot marigolds), in the family Asteraceae. 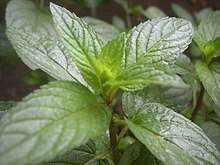 It is probably native to southern Europe though its long history of cultivation makes its precise origin unknown, and may possibly be of garden origin. It is also widely naturalised further north in Europe (north to southern England) and elsewhere in warm temperate regions of the world. Pot marigold florets are considered edible. They are often used to add color to salads, or added to dishes as a garnish and in lieu of saffron. The leaves are edible but are often not palatable. They have a history of use as a potherb and in salads. Flowers were used in ancient Greek, Roman, Middle Eastern and Indian cultures as a medicinal herb as well as a dye for fabrics, foods and cosmetics. Many of these uses persist today. Calendula officinalis is widely cultivated as a herb and can be grown easily in sunny locations in most kinds of soils. Although perennial, it is commonly treated as an annual plant, particularly in colder regions where its winter survival is poor, or in hot summer locations where is also does not survive. Calendula are considered by many gardening experts as one of the most versatile flowers to grow in a garden, especially since they are easy to grow, and tolerate most soils. In temperate climates, sow seed in spring for blooms that last throughout the summer and well into the fall. In areas of little winter freezing (USDA zones 8-11), sow seeds in autumn for winter color, plants will wither in subtropical summer. Seeds will germinate freely in sunny or half-sunny locations, but plants do best if planted in sunny locations with rich, well-drained soil. Pot marigolds typically bloom quickly from seed (in under two months) in bright yellows, golds, and oranges. Seeds Leaves are spirally arranged, 5–18 cm long, simple, and slightly hairy. The flower heads range from pastel yellow to deep orange, and are 3–7 cm across, with both ray florets and disc florets. Most cultivars have a spicy aroma. It is recommended to deadhead (removal of dying flower heads) the plants regularly to maintain even blossom production. Liquorice or licorice is the root of Glycyrrhiza glabra from which a somewhat sweet flavour can be extracted. The liquorice plant is a legume (related to beans and peas) that is native to southern Europe and parts of Asia. It is called Athimathuram in Tamil, "Yashtimadhu" in Sanskrit and "Mulethi" in Northern India. It is not related to anise, star anise, or fennel, which are the sources of similar-tasting flavouring compounds. The word 'liquorice'/'licorice' is derived (via the Old French licoresse), from the Greek (glukurrhiza), meaning "sweet root", from (glukus), "sweet"(rhiza), "root". It is a herbaceous perennial, growing to 1 m in height, with pinnate leaves about 7–15 centimetres (3–6 in) long, with 9–17 leaflets. 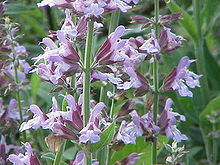 The flowers are 0.8–1.2 cm long, purple to pale whitish blue, produced in a loose inflorescence. The fruit is an oblong pod, 2–3 centimetres (1 in) long, containing several seeds. The roots are stoloniferous. The flavor of liquorice comes mainly from a sweet-tasting compound called anethole ("trans"-1-methoxy-4-(prop-1-enyl)benzene), an aromatic, unsaturated ether compound also found in anise, fennel, and several other herbs. Much of the sweetness in liquorice comes from glycyrrhizin, a compound sweeter than sugar. Liquorice grows best in deep valleys, well-drained soils, with full sun, and is harvested in the autumn, two to three years after planting. Liquorice extract is produced by boiling liquorice root and subsequently evaporating most of the water, and is traded both in solid and syrup form. Its active principle is glycyrrhizin, a sweetener between 30 to 50 times as sweet as sucrose, and which also has pharmaceutical effects. Liquorice flavour is found in a wide variety of liquorice candies. In Britain and the US these are usually sweet. In most of these candies the taste is reinforced by aniseed oil, and the actual content of liquorice is very low. In continental Europe however, strong, salty candies are popular. In the Netherlands, where liquorice candy ("drop") is one of the most popular forms of sweet, only a few of the many forms that are sold contain aniseed, although mixing it with mint, menthol or with laurel is quite popular. Mixing it with ammonium chloride is also popular, and is known as Salmiak, but mixing it with table salt creates what is probably the most popular liquorice, known in the Netherlands as zoute drop. Pontefract in Yorkshire was the first place where liquorice mixed with sugar began to be used as a sweet in the same way it is in the modern day. Pontefract Cakes were originally made there. In Yorkshire and Lancashire it is colloquially known as Spanish, supposedly because Spanish monks grew liquorice root at Rievaulx Abbey near Thirsk. The compound glycyrrhizic acid, found in liquorice, is now routinely used throughout Japan for the treatment and control of chronic viral hepatitis, and there is a possible transaminase-lowering effect. Hepatoprotective mechanisms have been demonstrated in mice. Recent studies indicate that glycyrrhizic acid disrupts latent Kaposi sarcoma (as also demonstrated with other herpesvirus infections in the active stage), exhibiting a strong anti-viral effect. The Chinese use licorice to treat Tuberculosis Liquorice affects the body's endocrine system as it contains isoflavones (phytoestrogens). It might lower the amount of serum testosterone slightly, but whether it affects the amount of free testosterone is unclear. Consuming liquorice may prevent the development of hyperkalemia in persons on hemodialysis. Large doses of glycyrrhizinic acid and glycyrrhetinic acid in liquorice extract can lead to hypokalemia and serious increases in blood pressure, a syndrome known as apparent mineralocorticoid excess. These side effects stem from the inhibition of the enzyme 11β-hydroxysteroid dehydrogenase (type 2) and subsequent increase in activity of cortisol on the kidney. 11β-hydroxysteroid dehydrogenase normally inactivates cortisol in the kidney; thus, liquorice's inhibition of this enzyme makes the concentration of cortisol appear to increase. Cortisol acts at the same receptor as the hormone aldosterone in the kidney and the effects mimic aldosterone excess, although aldosterone remains low or normal during liquorice overdose. To decrease the chances of these serious side effects, deglycyrrhizinated liquorice preparations are available. The disabling of similar enzymes in the gut by glycyrrhizinic acid and glycyrrhetinic acid also causes increased mucus and decreased acid secretion. As it inhibits Helicobacter pylori, is used as an aid for healing stomach and duodenal ulcers, and in moderate amounts may soothe an upset stomach. Liquorice can be used to treat ileitis, leaky gut syndrome, irritable bowel syndrome and Crohn's disease as it is antispasmodic in the bowels. The lemon is both a small evergreen tree (Citrus × limon, often given as C. limon) native to Asia, and the tree's ellipsoidal yellow fruit. The fruit is used for culinary and non-culinary purposes throughout the world – primarily for its juice, though the pulp and rind (zest) are also used, mainly in cooking and baking. Lemon juice is about 5% to 6% (approximately 0.3 M) citric acid, which gives lemons a sour taste, and a pH of 2–3. Many lemon flavored drinks and foods are available, including lemonade and sherbet lemons, as well as lemon and seasoning salt as a snack. The distinctive sour taste of lemon juice makes it a key ingredient in many dishes across the world. Various citruses do not fit the popular or botanical definition of oranges or lemons. For instance the kratta citrus of India has an orange leaf, an orange exterior, an orange pulp, yet its fruit is prominently mammillate (covered with rounded protuberances), and its flower is tinged purple. The acidless citrus, the mitha-nimboo, has a lemon-yellow exterior, a white pulp, and it is mammillate. Its leaves are like a lemon's, but its flowers are pure white. The jkamblri proper has orange-like leaves, the flowers are slightly tinged with purple, the pulp, varies from white to pale yellow, or orange, and the fruit is mammillate, and of two kinds externally, either of an orange colour, or of a lemon-yellow, and possibly also of a fawn colour. The average lemon contains approximately 3 tablespoons (50 mL) of juice. Allowing lemons to come to room temperature before squeezing (or heating briefly in a microwave) makes the juice easier to extract. Lemons left unrefrigerated for long periods of time are susceptible to mold.Lemon juice is used to make lemonade, soft drinks, cocktails, and marinades for both fish, where its acid neutralizes amines in fish by converting them into non-volatile ammonium salts, and meat, where the acid partially hydrolyzes tough collagen fibers, tenderizing the meat, but the low pH denatures the proteins, causing them to dry out when cooked. Lemon juice is frequently used in the United Kingdom to add to pancakes, especially on Shrove Tuesday. The lavenders (botanic name Lavandula) are a genus of 39 species of flowering plants in the mint family, Lamiaceae. It is an Old World genus, found from Cape Verde and Canary Islands, southern Europe across to northern and eastern Africa, the Mediterranean, south-west Asia to south-east India. Many members of the genus are cultivated extensively in temperate climates as ornamental plants for garden and landscape use, and also commercially for the extraction of essential oils. The native range extends across the Canary Islands and Madeira, North and East Africa, Southern Europe and the Mediterranean, Arabia and India. Some of its members are found as naturalised plants and weeds elsewhere. It is thought the genus originated in Asia but it is most diversified in its western distribution. The accounts provided here apply mostly to those plants grown for ornament and for oil extraction, which are all from the Mediterranean region. Flowers yield abundant nectar from which bees make a high-quality honey. Monofloral honey is produced primarily around the Mediterranean, and is marketed worldwide as a premium product. Flowers can be candied and are sometimes used as cake decorations. Lavender flavors baked goods and desserts (it pairs especially well with chocolate), and is also used to make "lavender sugar". Lavender flowers are occasionally blended with black, green, or herbal tea, adding a fresh, relaxing scent and flavor. Though it has many other traditional uses in southern France, lavender is not used in traditional southern French cooking. It does not appear at all in the best-known compendium of Provençal cooking, J.-B. Reboul's Cuisinière Provençale In the 1970s, a herb blend called herbes de Provence usually including lavender was invented by spice wholesalers, and lavender has more recently become popular in cookery. Lavender lends a floral and slightly sweet flavor to most dishes, and is sometimes paired with sheep's-milk and goat's-milk cheeses. For most cooking applications the dried buds (also referred to as flowers) are used, though some chefs experiment with the leaves as well. Only the buds contain the essential oil of lavender, from which the scent and flavor of lavender are best derived. In the United States, both lavender syrup and dried lavender buds are used to make lavender scones and marshmallows. 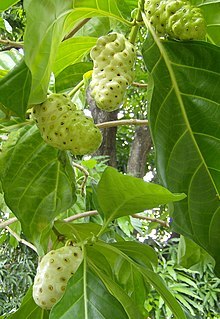 Konjac, also known as konjak, konjaku, konnyaku potato, devil's tongue, voodoo lily, snake palm, or elephant yam (though this name is also used for A. paeoniifolius), is a plant of the genus Amorphophallus. It is native to warm subtropical to tropical eastern Asia, from Japan and China south to Indonesia. It is a perennial plant, growing from a large corm up to 25 cm in diameter. The single leaf is up to 1.3 m across, bipinnate, and divided into numerous leaflets. 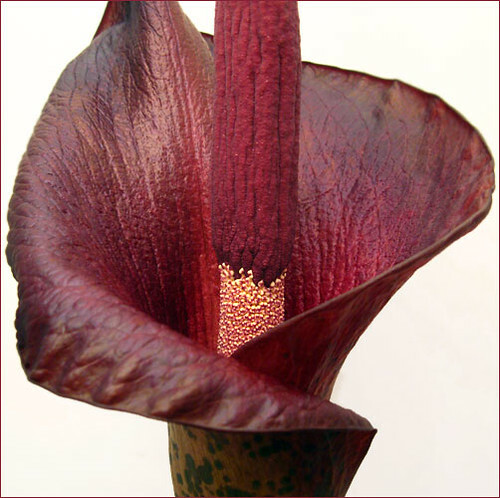 The flowers are produced on a spathe enclosed by a dark purple spadix up to 55 cm long. The corm of the konjac is often colloquially referred to as a yam, although it bears no marked relation to tubers of the family Dioscoreaceae. Konjac is grown in India, China, Japan and Korea for its large starchy corms, used to create a flour and jelly of the same name. It is also used as a vegan substitute for gelatin. In Japanese cuisine, konjac (konnyaku) appears in dishes such as oden. It is typically mottled grey and firmer in consistency than most gelatins. It has very little taste; the common variety tastes vaguely like salt. It is valued more for its texture than flavor. Ito konnyaku is a type of Japanese food consisting of konjac cut into noodle-like strips. It is usually sold in plastic bags with accompanying water. It is often used in sukiyaki and oden. The name literally means "thread-konjac". Japanese konnyaku is made by mixing konjac flour with water and limewater. Hijiki is often added for the characteristic dark color and flavor. Without additives for color, konnyaku is pale white. It is then boiled and cooled to solidify. Konnyaku made in noodle form is called shirataki and used in foods such as sukiyaki and gyudon. Kava or kava-kava (Piper methysticum) (Piper: Latin for 'pepper', methysticum: (Latinized) Greek for 'intoxicating') is a crop of the western Pacific.The roots of the plant are used to produce a drink with sedative and anesthetic properties. Kava is consumed throughout the Pacific Ocean cultures of Polynesia, including Hawaii, Vanuatu, Melanesia and some parts of Micronesia. Kava is sedating and is primarily consumed to relax without disrupting mental clarity. Its active ingredients are called kavalactones. A Cochrane Collaboration systematic review of its evidence concluded it was likely to be more effective than placebo at treating short-term social anxiety. Safety concerns have been raised over liver toxicity, largely due to the use of stems and leaves by supplement makers, as opposed to solely the root of the plant as dictated by traditional uses. However, based on a retrospective study of retained P. methysticum drug materials in Germany, the alkaloid pipermethystine, occurring to about 0.2% in the leaves, is an unlikely cause for the observed hepatotoxicity. Whether kava hepatotoxicity may be due to contamination with aflatoxins or other mould hepatotoxins, requires further studies. Heavy use of kava with comorbid alcohol consumption or an existing liver condition appears to lead to malnutrition, weight loss, liver damage (causing elevated serum γ -glutamyl transferase and high-density lipoprotein cholesterol levels), renal dysfunction, rashes, pulmonary hypertension, macrocytosis of red cells, lymphocytopenia, and decreasing platelet volumes. Kava is chewed by some to relieve symptoms of throat pain, as it produces a "numbing" effect on the tongue and throat. The kava is first chewed in the back of the mouth for five to 10 minutes while swallowing the saliva and kavalactones released from the process. It produces an effect similar to that of a chloraseptic spray (An over-the-counter medicine to alleviate sore throat by numbing it, via pump-spraying it into the mouth). Pharmaceutical and herbal supplement companies extract kavalactones from the kava plant using solvents such as acetone and ethanol to produce pills standardized with between 30% and 90% kavalactones. Some kava herbal supplements have been accused of contributing to very rare but severe hepatotoxic reactions (see section on safety) such may have been due to the use of plant parts other than the root, such as stems or peelings that are known to have been exported to European manufacturers. A kava pill usually has anywhere from 60 mg to 150 mg of kavalactones. By comparison the typical bowl of traditionally prepared kava beverage has around 250 mg of kavalactones. Piscidia piscipula, commonly named Florida fishpoison tree, Jamaican dogwood or Fishfuddle, is a medium-sized, deciduous, tropical tree endemic to southern Florida, the Florida Keys, Texas, Caribbean, and Latin America. Native Americans of the West Indies discovered extracts from the tree could sedate fish, allowing them to be caught by hand.This practice led to the tree's common names—fishpoison and fishfuddle. The tree has medicinal value as an analgesic and sedative. The generic name is Latin for "fish killer", and the specific epithet is Latin for "little fish". Fish poison: Indigenous peoples all over the world used local poisonous plants to aid in catching fish, and because of this many plants bear common names descriptive of this use. Within its natural range, Native Americans used an extract from the bark, roots, twigs, and leaves of Florida fishpoison tree to sedate fish, making them easier to catch. A number of chemicals are present in the tree's tissues that are toxic to fish, the principal one being the well-known Rotenone. Traditional medicine Piscidia piscipula can be toxic and should only be used under direction of a doctor.It has been used in traditional medicine for treating nervous conditions and pain. Recent scientific studies in animals suggest that bark extracts may have potential for their anti-inflammatory, sedative, and anti-spasmodic effects. Equisetum is the only living genus in the Equisetaceae, a family of vascular plants that reproduce by spores rather than seeds. Equisetum is a "living fossil", as it is the only living genus of the entire class Equisetopsida, which for over one hundred million years was much more diverse and dominated the understory of late Paleozoic forests. Some Equisetopsida were large trees reaching to 30 meters tall; the genus Calamites of family Calamitaceae for example is abundant in coal deposits from the Carboniferous period. A superficially similar but entirely unrelated flowering plant genus, mare's tail (Hippuris), is occasionally misidentified and misnamed as "horsetail". It has been suggested that the pattern of spacing of nodes in horsetails, wherein those toward the apex of the shoot are increasingly close together, inspired Napier to discover logarithms. The genus Equisetum is near-cosmopolitan, being absent only from Antarctica. They are perennial plants, either herbaceous and dying back in winter as most temperate species, or evergreen as most tropical species and the temperate species rough horsetail (E. hyemale), branched horsetail (E. ramosissimum), dwarf horsetail (E. scirpoides) and variegated horsetail (E. variegatum). They mostly grow 0.2-1.5 m tall, though the "giant horsetails" are recorded to grow as high as 2.5 m (northern giant horsetail, E. telmateia), 5 m (southern giant horsetail, E. giganteum) or 8 m (Mexican giant horsetail, E. myriochaetum), and allegedly even more. Many plants in this genus prefer wet sandy soils, though some are semi-aquatic and others are adapted to wet clay soils. The stalks arise from rhizomes that are deep underground and almost impossible to dig out. The field horsetail (E. arvense) can be a nuisance weed, readily regrowing from the rhizome after being pulled out. It is also unaffected by many herbicides designed to kill seed plants. However, as E. arvense prefers an acid soil, lime may be used to assist in eradication efforts to bring the soil pH to 7 or 8. Members of the genus have been declared noxious weeds in Australia and in the US state of Oregon. All the Equisetum are classed as "unwanted organisms" in New Zealand and are listed on the National Pest Plant Accord. Aesculus hippocastanum is a large deciduous tree, commonly known as Horse-chestnut or Conker tree.Aesculus hippocastanum is native to a small area in the mountains of the Balkans in southeast Europe, in small areas in northern Greece, Albania, the Republic of Macedonia, Serbia, and Bulgaria (Pindus Mountains mixed forests and Balkan mixed forests). It is widely cultivated throughout the temperate world. Cultivation for its spectacular spring flowers is successful in a range of climatic conditions provided summers are not too hot, with trees being grown as far north as Edmonton, Alberta, the Faroe Islands, and Harstad, Norway. In more southern areas, growth is best in cooler mountain climates. In Britain and Ireland, the nuts are used for the popular children's game conkers. During the two world wars, horse-chestnuts were used as a source of starch which in turn could be used via the Clostridium acetobutylicum fermentation method devised by Chaim Weizmann to produce acetone. This acetone was then used as a solvent which aided in the process of ballistite extrusion into cordite, which was then used in military armaments. The nuts, especially those that are young and fresh, are slightly poisonous, containing alkaloid saponins and glucosides. Although not dangerous to touch, they cause sickness when eaten; consumed by horses, they can cause tremors and lack of coordination.. Some mammals, notably deer, are able to break down the toxins and eat them safely. A selection of fresh conkers from a horse-chestnut. In the past, horse-chestnut seeds were used in France and Switzerland for whitening hemp, flax, silk and wool. They contain a soapy juice, fit for washing of linens and stuffs, for milling of caps and stockings, etc., and for fulling of cloth. For this, 20 horse-chestnut seeds were sufficient for six liters of water. They were peeled, then rasped or dried, and ground in a malt or other mill. The water must be soft, either rain or river water; hard well water will not work. The nuts are then steeped in cold water, which soon becomes frothy, as with soap, and then turns milky white. The liquid must be stirred well at first, and then, after standing to settle, strained or poured off clear. Linen washed in this liquid, and afterwards rinsed in clear running water, takes on an agreeable light sky-blue colour. It takes spots out of both linen and wool, and never damages or injures the cloth. Hoodia is a genus of 13 species in the flowering plant family Apocynaceae, under the subfamily Asclepiadoideae.They are stem succulents, described as "cactiform" because of their remarkable similarity to the unrelated cactus family. They can reach up to 1m high and have large flowers, often with tan colour and strong smell.Many Hoodia species are protected plants, typical of the Namib Desert, ranging from Central Namibia to southern Angola, especially in plains and rocky areas. Common names include "Bushman's Hat" and "Queen of the Namib".Several species are grown as garden plants, and one species, Hoodia gordonii, is being investigated for use as an appetite suppressant.However, in 2008 UK-based Unilever PLC, one of the largest packaged-food firms in the world, abandoned plans to use hoodia in a range of diet products. In a document on Unilever's website entitled "Sustainable Development 2008: An Overview," signed by Paul Polman, CEO, Unilever states: "During 2008, having invested 20 million [pounds] in R&D, Unilever abandoned plans to use the slimming extract hoodia in a range of diet products. We stopped the project because our clinical studies revealed that products using hoodia would not meet our strict standards of safety and efficacy." Hoodia is currently listed in Appendix II to the Convention on International Trade in Endangered Species of Wild Fauna and Flora (CITES), which includes species not currently considered endangered but are at risk if trade is not controlled.